Celebrating the U.S. Mint's 225th Anniversary in Style! This 2017 Silver Eagle is graded perfect Mint State-70 (MS70) by Numismatic Guaranty Corporation (NGC). 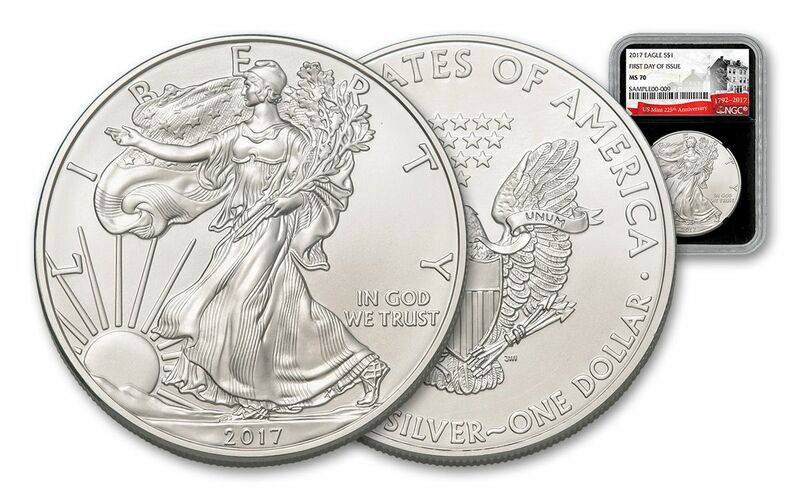 Examined by numismatic experts, your coin will be independently certified as a flawless, one ounce, 99.9% pure Silver Eagle and then encapsulated for protection in an acrylic holder. 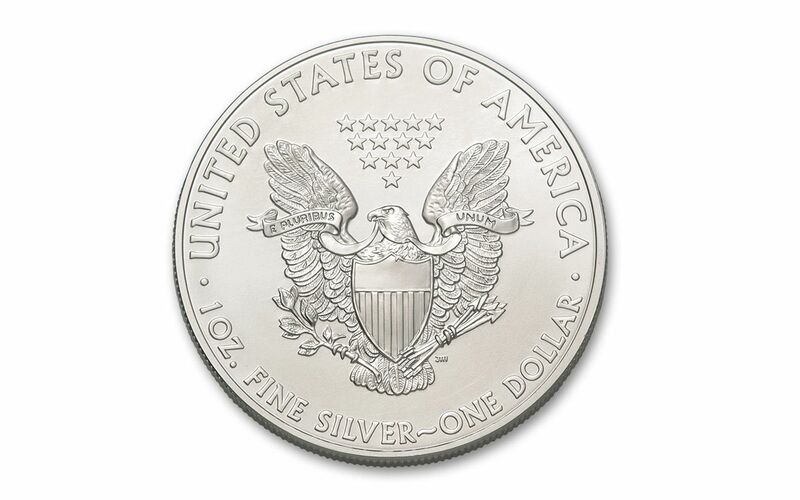 But there's a difference -- your Silver Eagle will have a black core rather than a white core securing the coin in place. This special edition harkens back to the original days of coin grading at NGC. For a short period of time, every coin they graded had this black core before quickly switching to the now familiar white core. Since then, those original black core coins have become highly collectible. 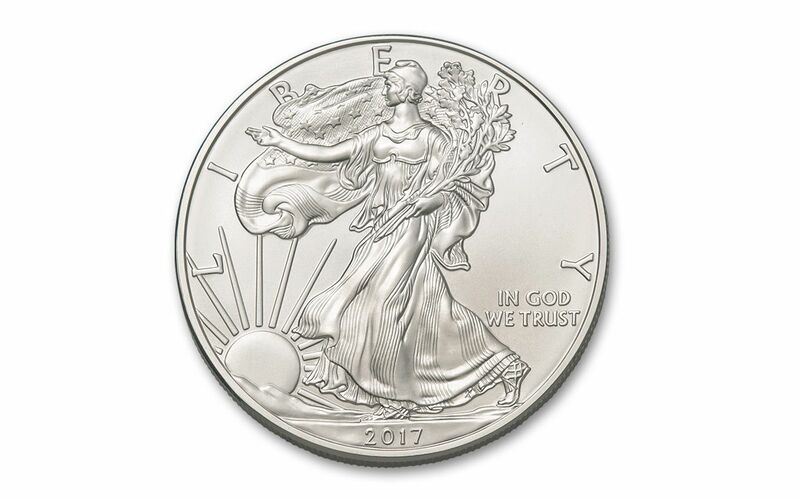 In addition, your 2017 Silver Eagle is also certified by NGC as First Day of Issue (FDI), released by the mint on the very first day of availability. Also, your coin will come with a label celebrating the 225th anniversary of the U.S. Mint, featuring a vintage image of the original Philadelphia mint. 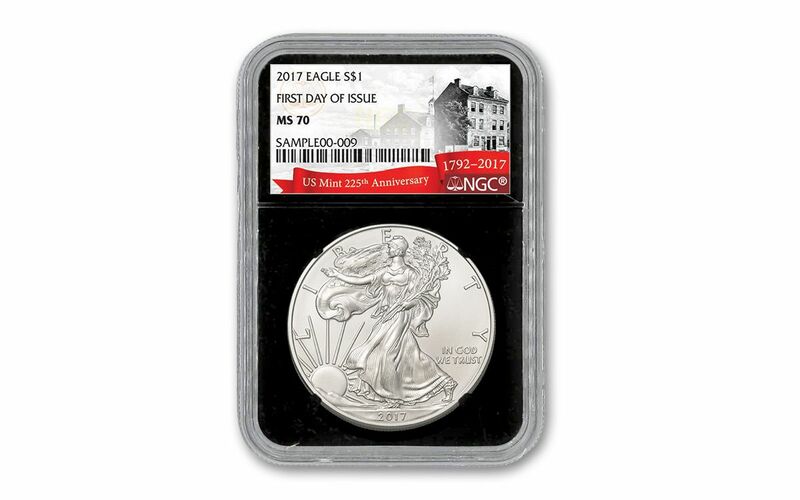 2017 is shaping up to be a banner year for collectible Silver Eagles, and this perfect-graded coin should be at the top of your list! Order yours today!